Vilac 2 in 1 Plush Rocking Sheep is a soft rocker toy suitable from 2 years plus. 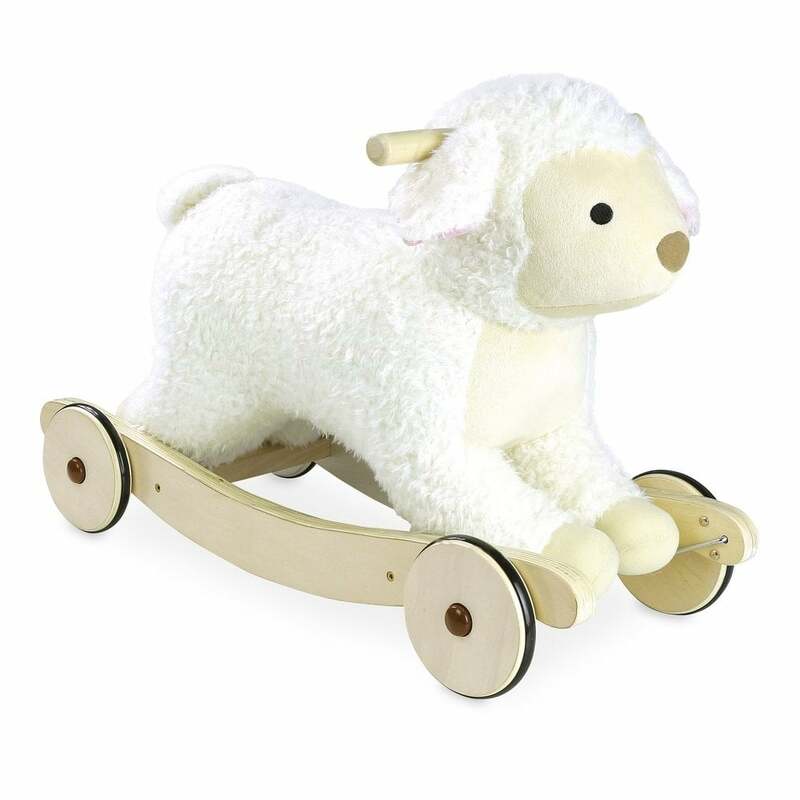 This multi-use play rocking toy cleverly transforms into a ride-on sheep with the wheels are lowered. A wonderful toy to help your child develop their motor skills, and a lovely addition to the nursery. Why should I choose Vilac 2 in 1 Plush Rocking Sheep? Vilac 2 in 1 Plush Rocking Sheep with its sweet expression, soft plush fabric and little tail, will enchant boys and girls alike. 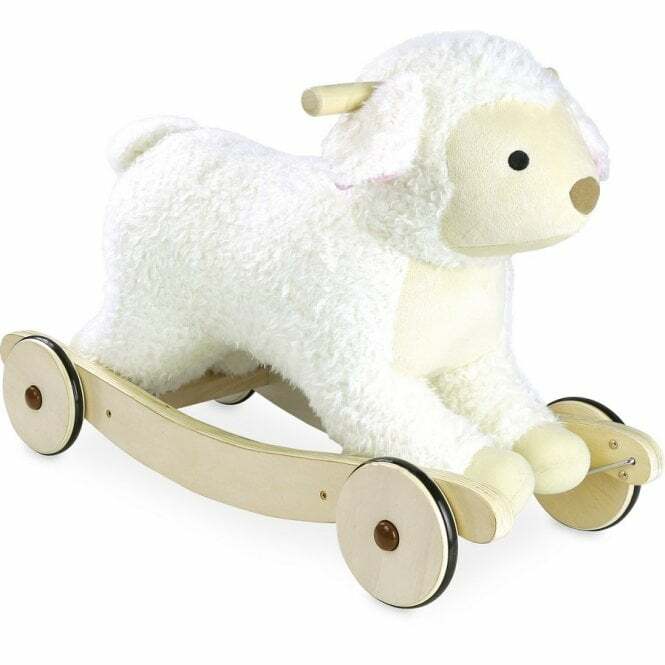 The smooth wooden base and well-finished wheels ensure a safe and smooth rocking motion, while the sturdy wooden side handles provide plenty of support for your toddler as they play. Once your child has had enough of rocking, simply lower the wheels to transform the rocker into a ride-on toy. Suitable from 2 years plus. Dimensions 60 x 40 x 25cm.